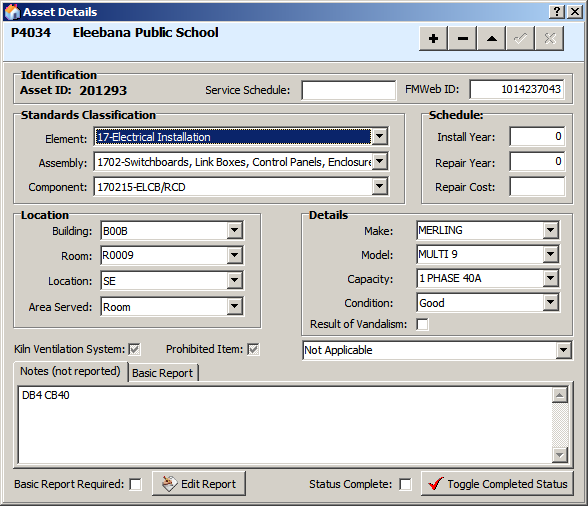 The SMM Main screen Schools Maintenance Management software was written in 1997 to provide data management, job carding and reporting on maintenance progress for the Schools Condition Assessment Program. SMM is capable of importing asset definitions and exporting condition assessments to a client prescribed format. During the progress of a yearly contract, SMM provides for full progress reporting and estimating. SMM also creates gantt charts based on preset assumptions and provides for this information to be disseminated to sub-contractors.